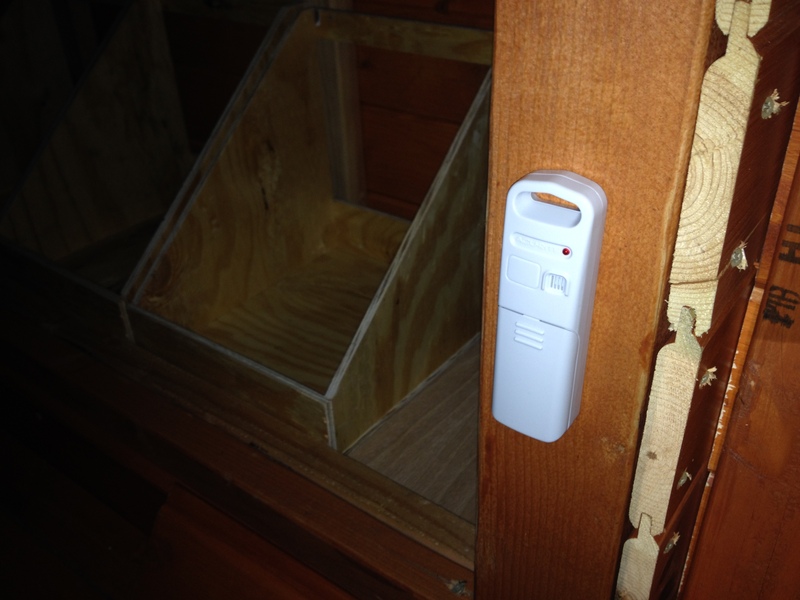 I placed the coop sensor next to the nesting box, at chicken-level. As the wind blew outside, I looked out the window and shivered. The chicks are five weeks away, but every day we are feeling more prepared. The AcuLink Internet Bridge, which arrived in the mail yesterday, totally works!! I walked out in the snow, with Matt pointing a flashlight from the kitchen so I could see, and installed the sensor in the dark. I placed it at chicken-height inside the coop, just to the right of the nesting box entrance. The weather station and a sensor. The set-up for the remote weather station was simple. It basically involved plugging in an ethernet cord that connected the bridge to my router, then I pushed a button on the bridge to sync up the software. I ran into a speed bump trying to figure out how to find the sensors online (I was hooked up but had no data to look at). 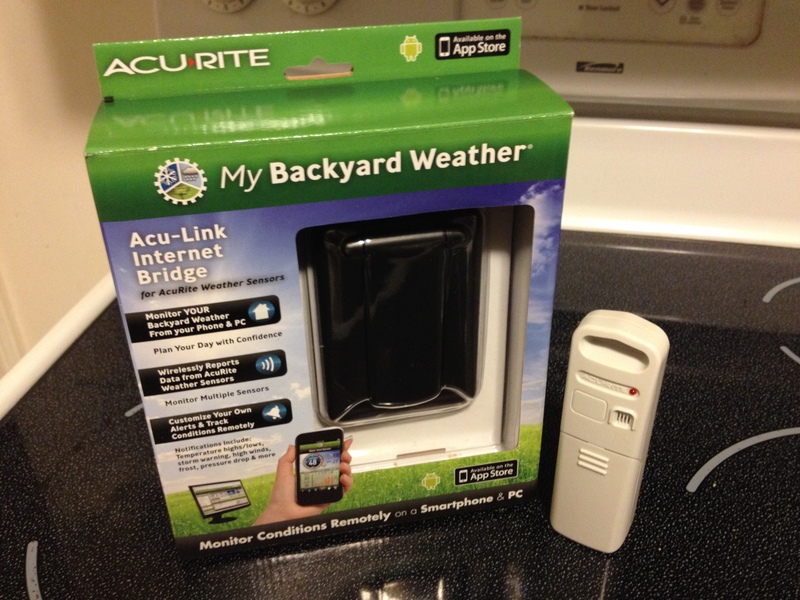 But this was quickly solved with a phone call to AcuRite customer service. The chipper fella who answered the phone volunteered to set me up and within minutes I was monitoring the sensors from both my laptop and my iPhone. Right now, at 3:29 p.m., the temperature in the coop is 26.8 degrees, exactly the same as the sensor I installed on my old oak tree. The humidity in the coop is 42 percent. This is a number I will watch closely once the chicks move outside. High humidity for chickens is bad news, and in extreme circumstances could mean a death sentence. I linked up my weather station with Weather Underground, and added a widget to Chicken Scratch Fever, so readers can check out the temperature in the coop. Our hope is to add video cams once we get the birds, too. “Jill, what’s the temperature under the tree?” Matt asks. The novelty hasn’t worn off just yet. Totally! Just a few more weeks, and I’ll have chicks peeping in my basement!!! Thanks! I’m excited to see how it works out once I get the birds in there! !